After a week like last week it's a little hard to focus on sports lol! But we did our best, giving you our take on the powerhouse divisions of the NFC East and AFC East! Jason and Chris go at it a little since he (a Dolphins fan) and Chris (an Eagles fan) both have wild fantasies about how their teams can win the division. With Brandon putting ice on both those dreams lol. 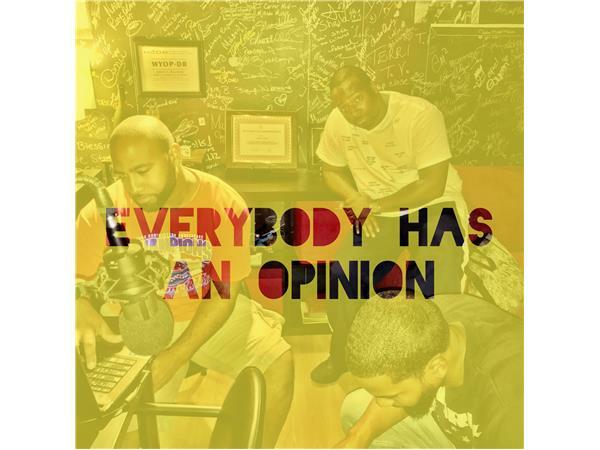 Tune in and make sure to follow us on IG @everybodyhasanopinion and search for our like page on FB under Everybody Has An Opinion. Also shoutout to this episode's sponsor Ramon Robinson and Life Sports Fitness! Through his social activism and music he is destined to trail blaze a new path for artists from every genre to approach the music industry with positivity and humility.